Phoebe is being released from the hospital tomorrow. She has done pretty well with this round of chemo, but it was discovered that she has unrinary tract infection. I am glad they finally figured out what was bothering her. She had complained that her bottom was hurting for about 2 weeks but we could never get a definitive culture. She has been on IV antibiotics for 2 days and she will come home on IV antibiotics for the first time. She will come home with her port still accessed and a home-health nurse will come each day for the next three days to administer the broad-spectrum antibiotics. Apparently this strain of infection is very resistant to antibiotics so she will receive a few different types in order to knock it out. Please pray that the antibiotics will work quickly and that her counts don’t get squashed while the infection persists. She needs those white cells for a few more days! Thank you all for praying for us and thinking of us. It will be nice to be together again after a week apart. 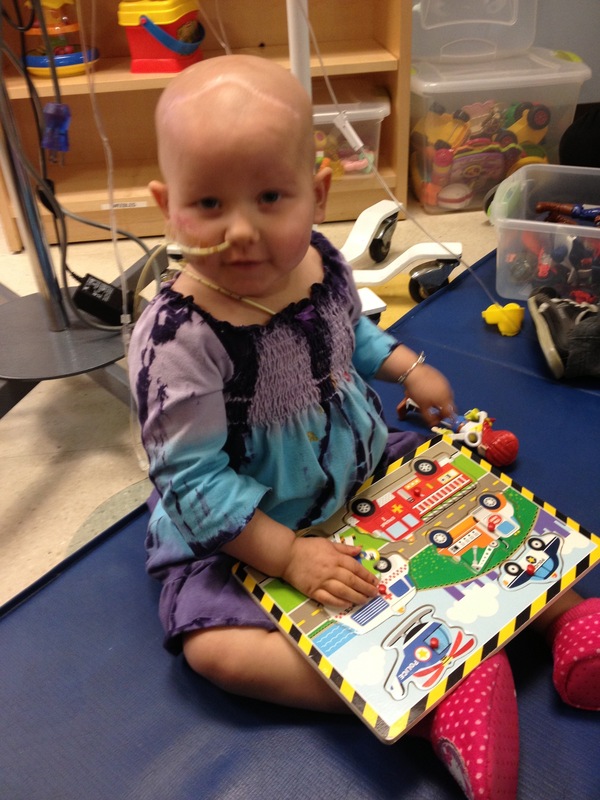 Phoebe playing Peekaboo with other patients in the cancer floor playroom! I just had a though about Phoebe’s eating issues with the constant hunger. Now, you might already be doing this or have thought of it but I would like to share…Is it possible to figure out just how many calories Phoebe needs for a 24 hr period and the divide the food intake into portions depending on how often she cries for food? That way she will not take in more calories then needed but it still does mean that you need to be getting up all hours of the night until she is either able to control this or feed herself. I’m sure a dietitian could help with mixing up the different food groups so she does get satisfaction at each eating. Praying the medicines work quickly and that Phoebe’s white cell counts stay high enough. Peace to all of you. 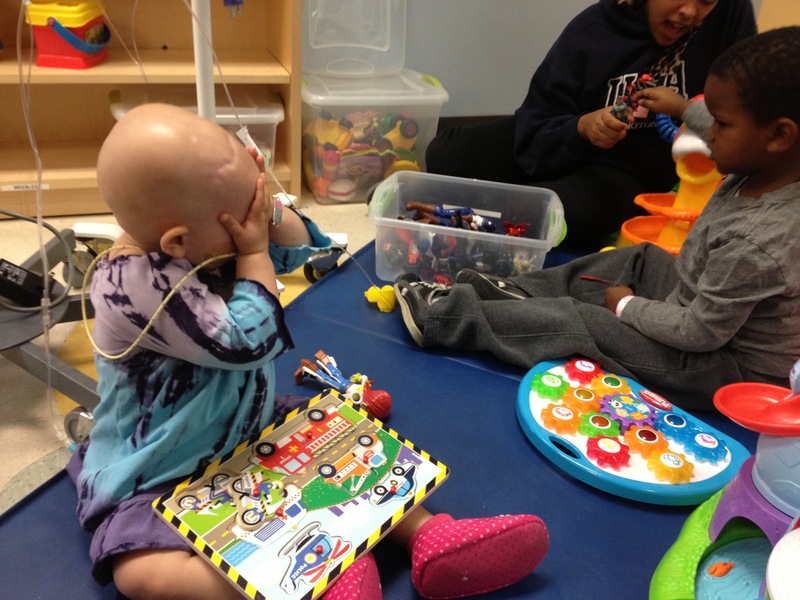 Phoebe, glad you get to go home today 🙂 I love seeing you play with your friends at the hospital. You are a super special young gal!! Have an awesome day at home with your family! Praying your numbers stay high until that pesky infection goes away! As I look at the 2nd photo, I notice those sweet baby hands. Give them an extra kiss from the Swanson Family tonight. We are praying for complete healing for Sweet Phoebe.